Does your child love remote control toys? Or are they fascinated by helicopters? Then you might be interested in getting a remote control helicopter for them. Children love toys that challenge them but aren’t too complex for them to understand (source). When it comes to finding a suitable helicopter toy, you may not know where to begin. 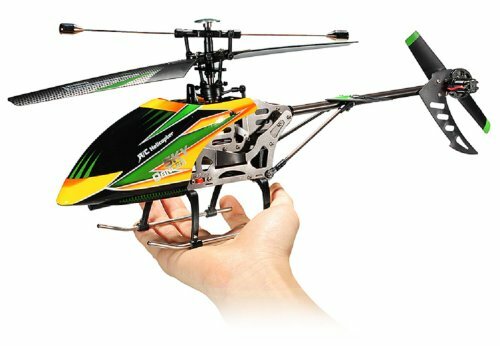 We’ve found some of the best RC helicopters for kids. But before we get to the reviews, I’ll share some tips and things to look for before spending your money. Use the links above to check the latest prices or read our in-depth remote control helicopter reviews below. Helicopters are generally advanced toys — there’s so much technology involved, as well as practice required before being able to fly it properly. If this is your child’s first helicopter toy, then be ready for some crashes. Here are some things to consider. 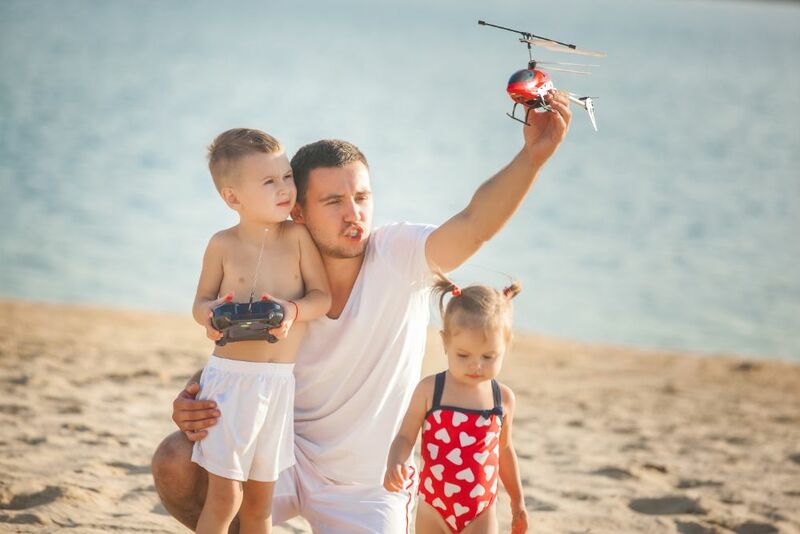 Age of your child: When purchasing helicopter toys, it’s essential to remember that children shouldn’t play with them without adult supervision. They can smash into objects, buildings, and people for that matter. Once your child is familiar with the toy and responsible in its use, they might be able to handle it alone. The skill level of your child: If this is your child’s first rodeo with a remote control toy, it’s best to buy something very simple. These usually have less advanced features and may even be suitable to use indoors. Alternatively, you could invest in a helicopter toy for toddlers if your child is younger. The area of interest: Younger children might be interested in flying. On the contrary, older kids may prefer constructing and modifying their own helicopter toys. In this case, you might want to look for a hobby-grade helicopter that comes with replaceable parts. Flying area: Where will the helicopter fly — indoors or outdoors? Indoor helicopters are usually smaller whereas, for outdoors, you’ll need one that can withstand some wind. Look for heavier models that are more robust. Competition: Many older kids, as young as 7 years old, like to compete with their helicopter toys. If your child wants to do the same, look for a model that has a radio remote control with at least 2.4 GHz. These have less chance of being interrupted by other signals. Familiarize yourself with the helicopter first: This is very important, especially if you’re also a novice. Just get used to the toy, how to steer, stop, lift, and land (source). Then you can better help your child. What a chore, right? 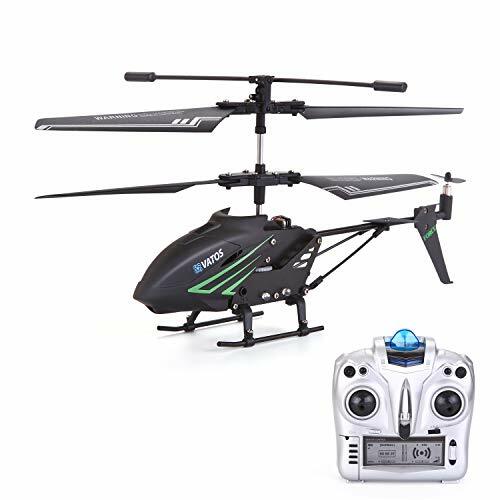 Buying the best remote control helicopter for kids is not as easy as it seems. Here are some other important factors to watch out for. The best helicopters will use different radio channels and convert them to movement. Most helicopters can create one type of action per channel. If you have a remote control helicopter supporting two channels, one channel controls the “turning” action while the other controls speed. Thus, if your child is a beginner, consider a model with fewer channels. These are much easier to control and get the hang of at first. Then as they advance, you can upgrade it to more channels, including three-channel versions or more. Most helicopter toys for kids are smaller and their motor is battery-powered. These are generally also the most affordable choice and ideal even for indoor use. If you’re lucky, you might be able to find one that stays in the air for up to 12 minutes at a time. However, the general flying time is less than 10 minutes before recharging is required. You can also get helicopter toys with a larger motor that can fly up to 15 minutes. However, these are generally fueled by either “glow fuel” or “nitro fuel.” These are unsuitable for indoor use, mostly due to the fumes they emit, but also the noise. Finding a good remote control helicopter for kids can be challenging. But now you’ve got an idea, let’s look at our top seven. 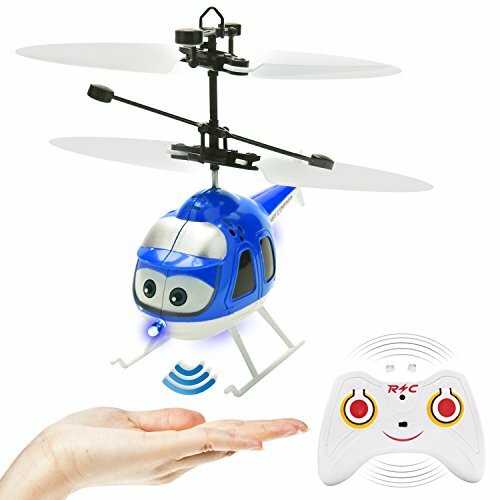 This RC helicopter for kids is ideal for indoor play. It would make an excellent gift for a child as young as 6 years of age. This toy from GearRoot has two modes: induction and remote control. The induction mode allows your child to start the movements by placing their hands in the air underneath the copter; it will then ascend and descend. If you put your hand under it again, it will rise up. The remote control will control the start, stop, and speed; press the acceleration button and it will fly higher. The safe-flying feature automatically stops the propellers from turning if it crashes or gets stuck. The helicopter itself is made with non-toxic ABS material. GearRoot included precision gears which make it stable in the air. When fully charged, the helicopter can fly for eight to 10 minutes at a time. It only takes 20 to 30 minutes for a full charge. 8–10 minutes of flying time. Fitted with safe flying protection. Flashing LED lights, perfect for kids. Helicopter only goes up and down. Not easy to control so unsuitable for unsupervised play. 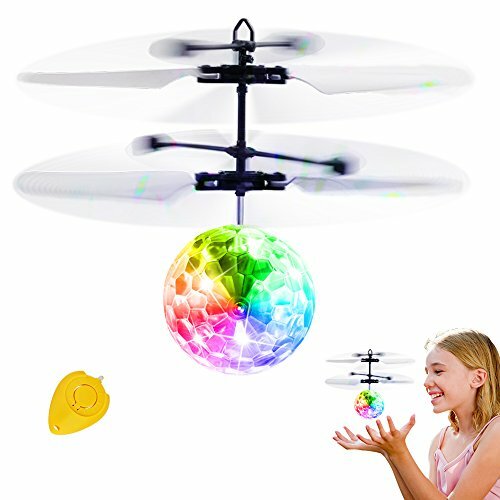 Larger remote control helicopters for kids are always fun. And this example from WLToys is no exception. It’s approximately 20 inches long and is suitable for a 7-year-old and older. What your young pilot will love is how realistic this one is. It comes with a 4-channel, 2.4 GHz remote control which means plenty of maneuvers to try. It can go up and down, forward and backward, and perform action stunts. Thanks to the 2.4 GHz remote, your child can even use it to compete. And due to the included gyro technology (electronic stabilization), it’s fairly easy to steer as well. After a charge, it can fly 150 meters (that’s nearly 500 feet) before it needs charging again. Great for annoying the neighbors. Four channel, 2.4 GHz remote control, perfect for outdoors. Stunt-ready for the little daredevils. Fly time of 8 minutes. Some experience needed before using. Looking for something you can fly outside? This model is durable and very easy to operate when compared to the more advanced helicopter toys. It comes with a small remote control that can make it fly and land. Once in the air, your child can use their hand to control where it flies. The ball has an induction feature, meaning that it will move away when it senses an object under it. Additionally, it comes with a built-in gyroscope that will help stabilize it when flying. Once up in the air, the mini disco ball will shine in different bright colors. With the hovering propellers on top, it will become a stunning light show, especially outdoors at night. It’s made with non-toxic ABS material. You charge it using the compatible USB cable. Once fully charged, your child gets eight to 15 minutes of mini-disco flying time. Up to 15 minutes of flying time. The remote doesn’t always respond as fast as it should. For our budget pick, we chose this super fun helicopter toy. 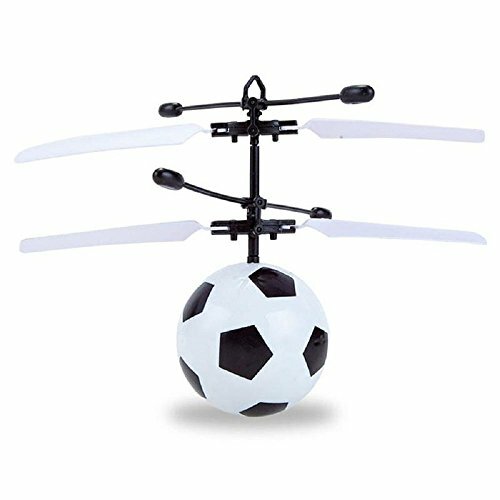 It’s actually a mini soccer ball with helicopter propellers on top. It’s excellent for a 5-year-old, and even the youngest can play along. It comes with LED hover technology and motion sensors. This means that whenever it senses something beneath it, it will automatically move away. Lots of fun to be had with this, even in the dark, thanks to the LED lights. Made from durable materials, if taken care of, it should last a while. Additionally, the materials used are environmentally-friendly and non-toxic for children. Hover technology and motion sensors. LED lights for extra fun. Durable material that’s eco-friendly and non-toxic. Probably too lightweight to use outdoors. For the best small RC helicopter for kids, we chose the mini helicopter from Vatos. This model is about 8.5 inches long and is suitable for children ages 8 and up. It’s made with lightweight material but is crash-resistant. If it hits the ground, all you have to do is tap the throttle and it will right itself and fly again. This helicopter is excellent even for newbies. The remote control has 3.5 channels that support the movements. This includes up, down, forward, and backward. This helicopter also comes equipped with gyroscope technology, meaning that it’s much easier to control. The frame includes a high-grade metal which provides extra stabilization. The flying time is pretty average. Your budding pilot gets only 6–8 minutes after a 40-minute charge. Included is a USB cable for charging. And what will mom and dad love? There’s no assembly required. Supports basic movements, perfect for kids. Short flying time between charges. Controls are quite sensitive and may be difficult for younger users. 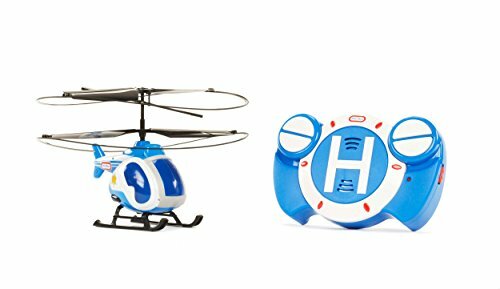 If you’re looking for a helicopter toy for toddlers or young beginners, look no further. This helicopter toy from Little Tikes is the perfect gift for a younger kid, starting at age 4. The remote control is a mere one-touch. It can teach your child to fly, turn, and land. It’s fitted with auto-hover technology, which is what keeps it in midair. It also includes safety features, such as protective propellers, and emergency shut-off. You can easily recharge it using the included USB cable. But this is a Little Tikes helicopter after all, and so to add to the fun, they included LED lights and sounds. Protective propellers and emergency shut-off. Very little control, meaning regular crashes could take place. The battery only lasts about five minutes. Every mother loves to spoil her child sometimes, especially if it’s on cool helicopter toys that we can use as well. This model from SkyRover is an excellent example, suitable for ages 8 years and over. This helicopter is fitted with gyro technology, helping your child to steer. It’s easy to control and lands smoothly. Older kids really appreciate the sleek design. We chose the icy blue color, but if your child prefers, it also comes in green. The remote is a 6-way control, with three channels, meaning lots of stunt potential. It can go up and down, turn and stop, and thanks to the turbo engine it can reach higher speeds. Once charged, you’ll get six minutes of flying time. The six-minute flying time is on the short side. Helicopter toys are great for kids of all ages, but under adult supervision. They can teach your child a series of different skills and build their confidence. We hope that you found our list helpful. Let me just give a shout out to our favorite of the day — the GearRoot Flying Ball indoor helicopter. It’s a good starting point for younger kids with its induction hover option and LED lights. Made from ABS material, it’s also safe for use. 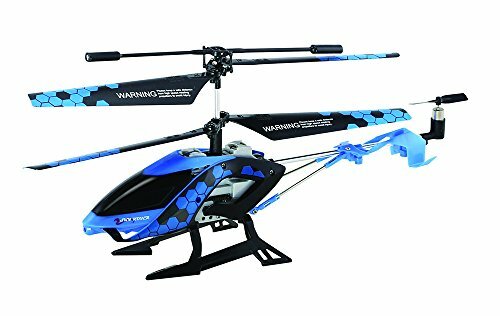 Did you find a favorite helicopter for your kids? Please let us know below and give us a like and share before you leave.